Medic 1 started as a family business and although we are now a much larger national service, we retain the sense of family, where everyone who works with us is valued and has much to contribute. Medic 1 was created in 2009, originally to cover a series of high profile sporting events. 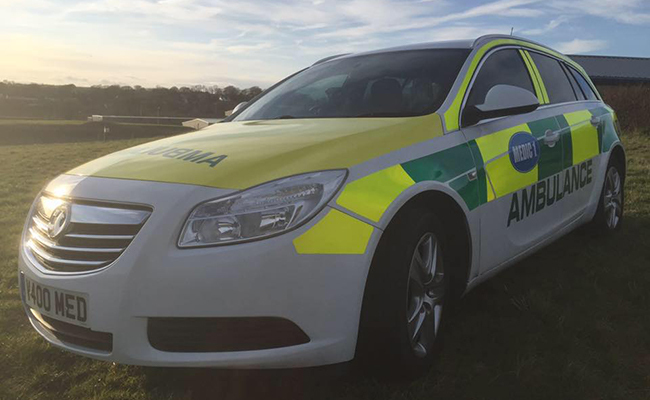 Initially, we focused solely on event medical provision but over time we have become a respected fully fledged ambulance service. In order to deliver an excellent service, our team has a huge variety of roles. Many of those unseen but extremely important tasks take place behind the scenes. Such as our fleet management team, hygiene department, administration, procurement, environmental & recycling, media, IT and innervations, training, HR, safeguarding, to name a few. Notice we haven’t even named the obvious, clinical staff. But yes of course as you would expect Medic 1 has a fantastic team of Paramedics, Emergency Medical Technicians, Emergency Health Care Assistants, Nurse Practitioners, Independent Prescribers and a huge team of Doctors who are specialists in many areas. We all love the NHS, indeed most of the team have worked (or still do) within this much loved national treasure. At the same time, there are some really good independent ambulance services in the UK. However, we saw that without the restrictions of a giant national organisation, or the constraints faced by other ambulance services, we could achieve something different within the ambulance world. A service where patients are still at its very heart, but where the approach is less clinical and tailored to the needs of each and every patient we care for, while still delivering excellent treatment and care, transportation that revolves around your needs, rather than those of an organisation.